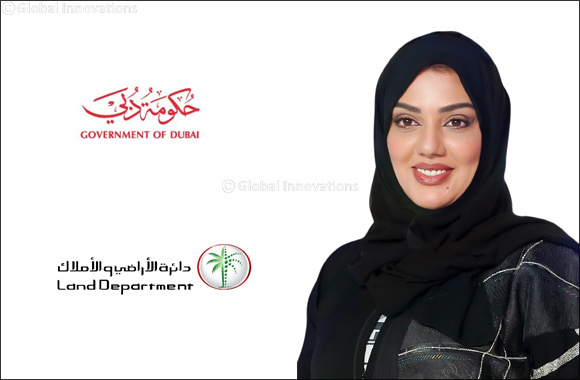 Dubai, United Arab Emirates, 10 January 2019: Dubai Land Department (DLD) announced its participation in the Egypt Mega Property Show in Cairo starting today 10 January till 13 January 2019. Through its stand as a strategic partner, DLD seeks to record unprecedented attendance at the show. The Real Estate Promotion and Investment Management Sector at DLD is participating at a platform that brings together a group of major real estate developers and partners in Dubai, including Nakheel, MAG Lifestyle Development, Dubai Investments, and Abu Dhabi Islamic Bank. DLD is eager to support the developers and partners, ultimately benefitting Dubai's thriving real estate sector. During this prestigious event, DLD will showcase a number of its smart applications and representatives will provide visitors with the required explanation and presentations to showcase the smooth and flexible services DLD provides to its customers. Through the Real Estate Promotion and Investment Management Sector, DLD will showcase its ongoing efforts to promote Dubai's real estate environment and the tremendous investment opportunities it offers investors. The Egypt Mega Property Show in Cairo is the largest platform to showcase and sell real estate projects across the Middle East. The show is organised by Strategic Marketing & Exhibitions in a strategic partnership between DLD, the Real Estate Promotion and Investment Management Sector at DLD, and MREC Integrated Real Estate Services in Egypt. The show gained wide regional fame, especially as it is an ideal platform for investors and buyers interested in investing in residential properties. During the show, real estate developers will offer the best real estate investment opportunities, giving them an ideal opportunity to showcase and promote their commercial and residential projects. The show will also offer ideal opportunities to explore the best local and international investment options in the real estate market as well as benefiting from the exclusive offers and facilities offered by major exhibitors.